Khudadad Khan was born in Dabb Village, Punjab State, Pakistan (close to where my family are from, who also fought in both World Wars) . When war broke out he joined the Army as a Sepoy or Private soldier and served with the 129th (Duke of Connaught’s Own) Baluchis as a machine gunner. In October 1914 his regiment was sent to the front line in France to help exhausted British troops. 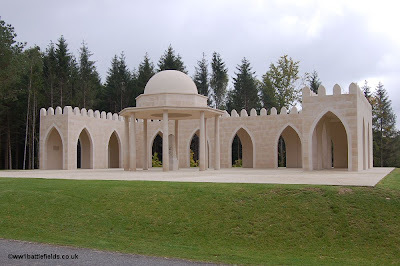 The Baluchi’s were pushed back by the Germans and all the gunners were killed apart from Khan who was badly wounded. 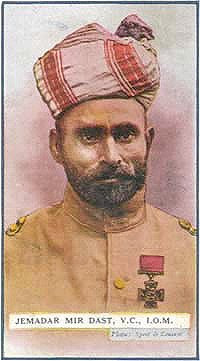 For his bravery in France and his involvement in preventing the German Army reaching vital ports, Khan received the Victoria Cross becoming the first Indian recipient of the highest military award for gallantry in the face of the enemy given to British and Commonwealth forces. On 26 April 1915 at Wieltje, Belgium, Jemadar Mir Dast led his platoon with great bravery during the attack, and afterwards collected various parties of the regiment (when no British officers were left) and kept them under his command until the retirement was ordered. He also displayed great courage that day when he helped to carry eight British and Indian officers to safety while exposed to heavy fire. The picture below is from a series of Gallaher Cigarette cards honoring WWI Victoria Cross recipients. 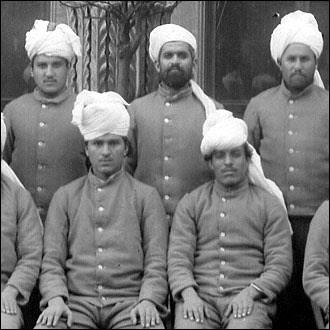 From left to right: English Muslim World War I Heroes: Gunner Azeez Leadon, Pte Mubarak Ballard, & Gunner Basheer Camp. Right at the heart of the Verdun battlefield, and perhaps the main focus of it as well, is the massive Ossuary inaugurated in 1932 to commemorate those who lost their lives in the battle of Verdun. 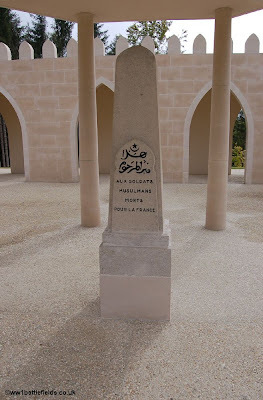 Nearby is a Memorial to Muslim soldiers, overlooking the cemetery below the Ossuary. 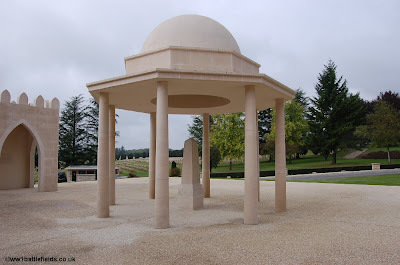 This was originally a small monolith, but in recent years this relatively small monument has been relocated and placed inside a much grander structure, which was inaugurated on the 25th of June 2006 by Jacques Chirac. Might be worth mentioning the bravery of the muslim victoria cros winners from WW2.